Southeast Asia is a collection of related but dissimilar states squeezed between the Indian Ocean and the Pacific Ocean. The area has long been a favorite corner of the world for globe-tramping backpackers, well-known for its perfect beaches, tasty cuisine, low prices, and good air connections. Tiny oil-rich sultanate on the island of Borneo. Still recovering economically from decades of war, though currently relatively safe and easy to travel. Highlights are Siem Reap near the ancient city of Angkor, the capital Phnom Penh and the beachside Sihanoukville. One of the world's newest and poorest states, though with abundant natural resources, encompassing the eastern side of Timor island. The sleeping giant of Southeast Asia and the world's largest archipelago, with more than 18,000 islands spanning three time zones. Home of the Komodo dragons and too many sights to see in one lifetime, they have improved economically into a G-20 nation. The forgotten, but growing, country of Southeast Asia, landlocked by Cambodia, China, Myanmar, Thailand and Vietnam. It is a mountainous country that is very popular on the backpacker trail. The entire town of Luang Prabang is a World Heritage site. Multicultural country ranging from the skyscrapers and urban life in the capital Kuala Lumpur to the jungle headhunters of Borneo. Ancient country with a history that includes both ruling its own Empire and being part of the British Empire. Until recently isolated, under military dictatorship and suffering from economic sanctions, currently undergoing major political changes and opening up to tourism. Clean and orderly island-city state. The most economically developed country in Southeast Asia. The Land of Smiles with frenetic cities and chilled-out beaches is the most popular tourist destination in the region. From the mountains in the north to the southern beaches and islands; to the lights of Bangkok and Pattaya; Thailand has it all. Firmly marching down the road to capitalism as one of the world's fastest growing economies. One of the more popular tourist destinations in the area and a well established route on the backpacker trail. Jakarta — capital of Indonesia and the largest city in Southeast Asia. A diverse city, from the old houses of Batavia to modern megamalls. Palawan — a long island in the western part of The Philippines filled with lush tropical green forests and one of the most favorable diving and swimming sites in the world. 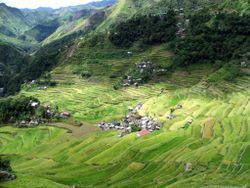 It also has one of the most diverse lands in Asia and in the world. Southeast Asia is one of the world's most popular tourist destinations, and for a reason: a tropical climate, warm (or hot!) all year around, rich culture, gorgeous beaches, wonderful food and last but not least, low prices. While its history and modern-day politics are complex, most of it is also quite safe for the traveller and easy to travel around in. Pre-historic Southeast Asia was largely underpopulated. A process of immigration from India across the Bay of Bengal is referred to as the process of Indianization. Exactly how and when it happened is contested; however, the population of the mainland region largely happened through immigration from India. The Sanskrit script still used as the basis for modern Thai, Lao, Burmese and Khmer has its roots from this process. On the other hand, population of the archipelegos of East Timor, Indonesia and the Philippines, as well as Malaysia on the mainland is thought to have come about though immigration from Taiwan. Before the arrival of European invaders and colonists, Southeast Asia was home to several powerful kingdoms. Some of the more notable ones were the Funan and the Khmer Empire in northern Southeast Asia, as well as the Srivijaya, the Majapahit Kingdom and the Melaka Sultanate in the Malay Archipelago. Southeast Asian history is very diverse and often tumultuous, and has to an important extent been shaped by European colonialism. 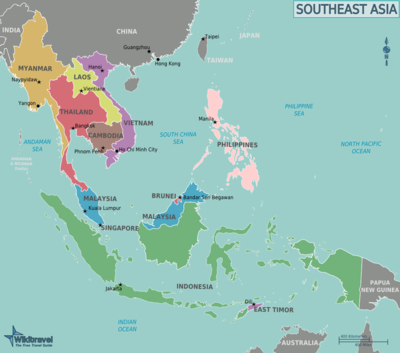 The very term Southeast Asia was invented by American Naval strategists around 1940. Southeast Asia was prior to WWII referred to with reference to the colonial powers; farther India for Burma and Thailand, with reference to the main British colony of India, although Thailand was never formally colonized; Indochina referred to the French colonies of Cambodia, Vietnam and Laos, while Indonesia and parts of maritime Southeast Asia was referred to as the Dutch East Indies. Peninsular Malaysia and Singapore were known as British Malaya, while Sabah was known as British North Borneo. Sarawak, on the other hand was known as the Kingdom of Sarawak and ruled by a British family known as the White Rajahs. Brunei was also made into a British protectorate, with the British taking charge of its defence and foreign affairs. The Philippines was named the Spanish East Indies during the initial period of Spanish colonial rule, and later came to be known by its current name in honour of King Philip II of Spain, a name which stuck even after the islands were transferred from Spanish to American colonial rule. East Timor was colonized by Portugal for 273 years, then occupied by Indonesia for 27 years before becoming the first nation to gain independence in the 21st century. World War II was disastrous to Southeast Asia, and also saw the beginning of the end of European colonialism, as the European powers surrendered to Japan one by one in disgrace. By the end of 1942, the Japanese had conquered virtually the whole of Southeast Asia, with only Thailand remaining unconquered, as the Thais signed a treaty of friendship with the Japanese which allowed the Japanese to establish military bases in Thailand, and allowed Japanese troops free passage through Thailand. The Japanese occupation was a time of great hardship for many of the natives, as the Japanese took all the resources for themselves, and exploited many of the locals for their own gain. However, the Japanese occupation convinced many locals that the European powers were not invincible after all, and allowed the independence movements to gain pace. After the war, the decolonisation process started in Southeast Asia, with the Americans granting independence to the Philippines in 1946, while the British granted independence to Burma in 1948, followed by Malaya in 1957 and eventually Singapore, Sarawak and North Borneo in 1963, which federated with Malaya to form Malaysia. After some ideological conflicts, Singapore was expelled from Malaysia in 1965 and became a sovereign state. On the other hand, the Dutch and the French fought bloody wars in an effort to hold on to their colonies, most of which ended in humiliating defeats for the European colonial powers, eventually leading to the Indonesia gaining independence from the Dutch in 1949, and Indochina from the French, which became the three separate countries of Laos, Cambodia and Vietnam in 1954. European colonialism came to an end in Southeast Asia in 1984, when Brunei was granted full independence by the British. Indonesia occupied East Timor in 1975 after it declared independence from the Portuguese following a coup in Portugal, and only left in 1999 following a United Nations referendum. East Timor was then occupied by a United Nations peacekeeping force, before finally becoming independent in 2002. For at least two thousand years (and to this day), Southeast Asia has been a conduit for trade between India and China, but large-scale Chinese immigration only began with the advent of the colonial era. In Singapore, the Chinese form a majority of the population, but there are substantial Chinese minorities, assimilated to varying degrees, across all countries in the region. In recent years, Southeast Asia is acknowledged as having a relatively high rate of economic growth, with Malaysia, Indonesia, Thailand and the Philippines often being called the "New Asian Tigers", and Vietnam also recording double digit growth rates in recent years. Nevertheless, despite being one of the most resource rich regions in the world (all Southeast Asian countries except Singapore are considered to be resource rich), widespread corruption means that poverty is still an issue in many countries, which much of the wealth concentrated in the hands of a few elite. Southeast Asia is mostly tropical with some subtropical highlands in the North: the weather hovers around the 30°C mark throughout the year, humidity is high and it rains often. However, in Indochina (north/central Thailand, Laos, Cambodia, Vietnam, Myanmar), the seasons can be broken down into hot, wet and dry, with the relatively cool dry season from November to February or so being the most popular with tourists. The scorching hot season that follows can see temperatures climb above 40°C in April, cooling down as the rains start around July. However, even in the "wet" season, the typical pattern is sunny mornings with a short (but torrential) shower in the afternoon, not all-day drizzle, so this alone should not discourage you from travel. Southeast Asia is also home to many mountains, and conditions are generally cooler in the highlands. In equatorial Southeast Asia, highland temperatures generally range from about 15-25°C. 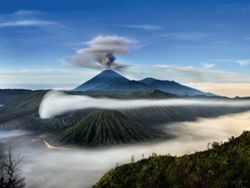 Some of the highest mountains in Indonesia, Vietnam and Myanmar are so high that snow falls every year, and Indonesia and Myanmar are even home to permanent glaciers. In Malaysia, Brunei, Singapore and parts of Indonesia (notably Sumatra and Borneo) and the Philippines (notably Palawan), haze from forest fires (usually set intentionally to clear land) is a frequent phenomenon in the dry season from May to October. Haze comes and goes rapidly with the wind, but Singapore's National Environment Agency has useful online maps  of the current situation in the entire region. Southeast Asia's culture is dominantly influenced by the Indians and Chinese as well as its colonizers. Thai, Burmese, Cambodian and Lao culture is heavily Indianized as well as Chinese-influenced in areas such as faith, folklore, language and writing. Malaysia and Indonesia are also influenced by the Indians, Malays and Chinese with a touch of Arab culture due to the large Muslim populations. Vietnam is the most Chinese-influenced country while Brunei's culture is Malay-influenced. East Timor's culture is influenced notably by the Portuguese and the Malays. Singaporean and Philippine cultures are the most diverse: Singaporean is a mix of Malay, Indian, Peranakan, British, American and Chinese cultures while the Philippines is heavily influenced by American, Spanish, Malay, Japanese, Portuguese and Chinese culture with less influence from the Indians, Mexicans and other Europeans, making it as the most westernized nation in the region. Southeast Asia is religiously diverse. Malaysia, Indonesia and Brunei are predominantly Sunni Muslim, while East Timor and the Philippines are predominantly Roman Catholic. In northern Southeast Asia, Buddhism dominates, mostly of the Theravada variety, with the exception of Vietnam where the Mahayana variety dominates. However, religious minorities exist in every country. The ethnic Chinese minorities in the various countries practise a mix of different religions, including Taoism and Mahayana Buddhism. Hinduism is still practised in parts of Indonesia, most notably Bali, as well as by a sizeable proportion of the ethnic Indian community in Malaysia, Singapore and Myanmar. The southern parts of Thailand are home to ethnic Malays who mostly practise Islam, while the island of Mindanao in the Philippines is also home to a sizeable Muslim community. Indonesia is also home to many Christians, most notably on Papua and the island of Sulawesi. In East Malaysia as well as more remote parts of various countries, various tribal religions are still widely practised. Most of Southeast Asia's major languages are not mutually intelligible. English is a traveller's most useful language overall, although for longer stays in any Southeast Asian country (except Singapore and the Philippines), picking up at least some of the local language is useful, and essential outside the cities. There are also many Chinese in the area, although many Southeast Asian Chinese speak only southern languages like Cantonese or Minnan, and not Mandarin. Unlike in Africa and South America, with the exception of English and Portuguese, most of the colonial languages are no longer widely spoken, although in recent years, French has been experiencing a revival in Laos, Cambodia, and to a lesser extent, Vietnam. In addition, Spanish has also been experiencing a revival in the Philippines. Nevertheless, English remains the more practical non-native language for tourists in the other nations of the region. Southeast Asia's touristy countries (Malaysia, Philippines, Singapore, Thailand) do not require visas from most visitors. Cambodia, Laos, Indonesia and East Timor offer visas on arrival at most points of entry. Vietnam offers Visa on Arrival for some nationalities, though some advance paperwork might be necessary. Myanmar requires advance paperwork and usually a visit to the embassy (easiest in Bangkok) for most visitors. The main international gateways to Southeast Asia are Bangkok (Thailand) and Singapore, with Kuala Lumpur (Malaysia) in third place and Jakarta (Indonesia) following suit. Manila (Philippines) also offers relatively good connections to other cities outside the region, particularly North America. Hong Kong also makes a good springboard into the region, with many low-cost carriers flying into Southeast Asian destinations. Rapidly expanding AirAsia flies out of its Kuala Lumpur hub and getting from one South East Asian city to another is often as easy as booking two separate AirAsia tickets and transiting through their Kuala Lumpur hub. AirAsia also operates secondary hubs in Bangkok and Jakarta. In addition, budget flights can be booked through the Jetstar and Tiger Airways hub in Singapore so always consider this as another option. The only railway line into Southeast Asia is between Vietnam and China, and consequently on to Russia and even Europe. There are no connections between Vietnam and other Southeast Asian countries yet, although there are plans for links through both Cambodia and Myanmar onward to the existing Thailand-Malaysia network. Southeast Asia is a popular destination for round the world cruises, and many of them make several stops in Southeast Asia with the option to go for shore excursions. Popular ports of call include Singapore, Langkawi, Penang, Tioman, Redang, Phuket, Nha Trang, Ha Long Bay, Ho Chi Minh City and Ko Samui. In addition, Star Cruises  also operates cruises from Hong Kong and Taiwan to various destinations in Southeast Asia. Several Chinese cities, among which Nanning (which conveniently also has a Vietnamese embassy; buses by Yunde (云德; Yúndé)  bus company leave from Langdong Bus Station) and Kunming offer bus connections to Hanoi in Vietnam, stopping and transferring at the border. With the exception of Malaysia, Philippines, Singapore, Thailand public transportation networks in Southeast Asia tend to be underdeveloped. However, due to reckless driving habits, driving is also usually not for the faint hearted. Most of the time, plane, bus or rail travel tends to be the best way of getting around. Much of Southeast Asia is now covered by a dense web of discount carriers, making this a fast and affordable way of getting around. Bangkok, Jakarta, Kuala Lumpur and Singapore are the main hubs for discount airlines in the area. The larger multinational discount airlines and most national carriers are respectable, but some of the smaller airlines have questionable safety records, especially on domestic flights using older planes — do some research before you buy. Buses run throughout every country in Southeast Asia, connecting major cities and small towns. They can range from tiny minibuses which are crammed full of people and assorted other items, to large air-conditioned touringcars. Like anywhere, you get what you pay for. Some countries, such as Vietnam offer sleeper-buses with beds, and offer bus-passes which can be used to travel through the entire country with several stops. Thailand has the most extensive network, with relatively frequent and economical (albeit slow, compared to most buses) and generally reliable services. The main lines from Bangkok are north to Chiang Mai; north-east via Nakhon Ratchasima (Khorat) to Nong Khai and also east to Ubon Ratchathani; east via Chachoengsao to Aranyaprathet and also south-east via Pattaya to Sattahip; and south via Surat Thani (province) to Ko Samui, Ko Pha Ngan, Ko Tao and Hat Yai, through Malaysia via Butterworth, Kuala Lumpur, and Johor Bahru, to Singapore. The networks in Indonesia and Myanmar are more limited and decrepit and perhaps best experienced for their nostalgic value. Cambodia's railways were badly hit by the civil war and have been going downhill ever since. Only two remaining passenger service connects the capital Phnom Penh one with the next-largest town Battambang, and takes longer to arrive than a reasonably determined cyclist. The other is weekend only service to the mangrove lined rivers and the white sand beaches of Sihanoukville. It is no longer possible to transit all the way through Cambodia to Thailand by rail. International ferry links are surprisingly limited, but it's possible to cross over from Malaysia to Sumatra (Indonesia) and from Singapore to the Riau Islands (Indonesia) and Johor (Malaysia). Star Cruises  also operates a fleet of cruise ferries between Singapore, Malaysia and Thailand, occasionally venturing as far as Cambodia, Vietnam and even Hong Kong. Domestic passenger ferries link various islands in Southeast Asia, particularly in Indonesia and the Philippines, but safety regulations are often ignored, boats often overloaded, and sinkings are not uncommon. Be sure to inspect the boat before you agree to get on, and avoid boats that look overcrowded or too run down. Getting around continental Southeast Asia as well as intra-island travel in the various islands of Southeast Asia by car is possible, but definitely not for the faint hearted. While you can drive yourself around Singapore, Malaysia and Brunei without any major problems after giving yourself some time to get used to the relative lack of road courtesy, traffic conditions elsewhere range from just bad to total chaos. As such, it is advisable to rent a car with a driver, and not try to drive yourself around. Take a motorcycle tour across Cambodia or Vietnam - countries for some of the finest on and off-road riding in the World. Hike the jungles of Thailand or Borneo or the mountains of Northern Vietnam or the Cameron Highlands in Malaysia. Go sea fishing round the islands off Sihanoukville. Take the Boat down the Mekong in Laos. Zipline through the jungle in Thailand or Laos. Wash and feed elephants near Chiang Mai. Jump down waterfalls at Kanchanaburi or Chiang Mai. Visit caves in Halong Bay. 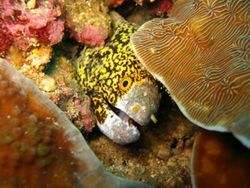 Scuba diving is a major draw for visitors to Southeast Asia, with the Philippines, Thailand, Malaysia and Indonesia all boasting world-class diving locations. Surfing is also an increasing popular sport especially in the Philippines and Indonesia, with Nias and Bali the top draws. Try wakeboarding at Southeast Asia's largest wakeboarding center in Camarines Sur in the Philippines. Fishing for marlin and barracuda is a major draw in the Cambodian coastal city of Sihanoukville. Explore the world's longest underground river the Puerto Princesa Subterranean River National Park in Palawan also in the Philippines. Southeast Asia, in particular Indonesia and Thailand, is well-known throughout the world for its traditional massages. While the conditions of massage parlours vary, those located in major hotels in touristy areas are usually clean, though you would generally pay a premium for them. Nevertheless, prices remain much lower than in most Western countries, with 1/2-hour massages starting from around US$10-20. Cycling throught peaceful countrysides in Indochina from Thailand to Vietnam along Mekong Delta to see the real local lifes, chatting with friendly local people on trip. Every Southeast Asian country has its own currency. The US dollar is the official currency of East Timor, the unofficial currency of Cambodia and Laos, and (for larger payments) is widely accepted in some Southeast Asian cities. Euros are also widely accepted in the major cities, although rates are rarely as good as for dollars. Thai baht are widely accepted in Cambodia, Laos and Myanmar. As Singapore is considered to be the main financial centre of Southeast Asia, Singapore dollars would generally be accepted in major tourist areas if you're in a pinch (and are legal tender in Brunei), though the conversion rate might not be very favourable. Exchange rates for Southeast Asian currencies tend to be very poor outside the region, so it's best to exchange (or use the ATM) only after arrival. Alternatively, Singapore and Hong Kong have many money changers who offer competitive rates for Southeast Asian currencies, so you might plan to spend a night or two in transit for you to get your money changed. Southeast Asia is cheap, so much so that it is among the cheapest travel destinations on the planet. US$20 is a perfectly serviceable daily backpacker budget in most countries in the region, while the savvy traveler can eat well, drink a lot and stay in five-star hotels for US$100/day. Some exceptions do stand out. The rich city-states of Singapore and Brunei, which boast some of the highest GDP per capita in the world, can be more than twice as expensive as their neighbors, while at the other end of the spectrum, the difficulty of getting into and around underdeveloped places like Myanmar, East Timor and the backwoods of Indonesia drives up prices there too. In Singapore in particular, the sheer scarcity of land drives accommodation rates up and you would be looking at more than US$150 per night for a four-star hotel. Southeast Asia is a shopping haven, with both high end branded goods and dirt cheap street goods. The most popular city for shopping in Southeast Asia is Bangkok, although Jakarta, Kuala Lumpur, Manila, Ho Chi Minh City and Singapore all have extensive arrays of exclusive shopping malls stocked with haute couture labels. On the other end of the spectrum, street markets remain a part of daily life (except in Singapore) and are the place to go for dirt cheap or counterfeit items. Some towns like Chiang Mai in Thailand and Ubud in Bali, Indonesia are well-known for enormous markets selling traditional artworks, and it's often possible to buy directly from local artists or have dresses, jewelry, furniture etc made to order. Bargain in public markets and flea markets where prices aren't fixed, Southeast Asians actually will give you a bargain if you make them laugh and smile while naming your price, if they don't try saying bye bye and smile and maybe the vendor might change his mind and give you a discount. When bargaining for simple things like watches, sunglasses, and shoes remember that these are marked up indefinitely more than 400% and given you have the bargaining skill, can easily be brought down from 4,500 baht to 800 - 1000. If you can't seem to get them down to a reasonable price, then you're doing it wrong. Rice is the main Southeast Asian staple, with noodles of all sorts an important second option. Fruit is available everywhere in all shapes and sizes. Mangoes are a firm favorite among travellers. The giant spiky durian, perhaps the only unifying factor between South-East Asia's countries, is infamous for its pungent smell and has been likened to eating garlic ice cream next to an open sewer. Street vendors or hawkers. Be careful of some, but most offer wonderful food at a very inexpensive cost. Rice-based alcoholic drinks — Thai whisky, Tuba, lao, tuak, arak and so on — are ubiquitous and potent, if rarely tasty. As a rule of thumb, local booze is cheap, but most countries levy very high taxes on imported stuff. Beers are a must try in Southeast Asia - check out San Miguel (Philippines), Singha (Thailand), Bir Bintang, Angker Beer (Indonesia) Tiger Beer (Singapore and Malaysia) and Beer Lao (Laos). Lager is by far the most popular style, although stout (esp. Guinness) is also popular and the larger cities have plenty of microbreweries and imported brews. Don't be surprised by the local habit of adding ice to your beer: not only does it help keep it cool, but it dilutes the often high alcohol content (6% is typical) as well. Hampered by heavy taxation and a mostly unsuitable climate, wine is only slowly making inroads, although you can find a few wineries in northern Thailand, Bali and Vietnam. Don't buy wine in a restaurant unless you're sure it's been kept properly, since a bottle left to molder in the tropical heat will turn to vinegar within months. Virtually all of the traveller trail in Southeast Asia is perfectly safe, though there are low-level insurgencies in remote areas of Indonesia, Myanmar (of which some of the more turbulent states remain out of bounds for tourists), the Philippines and Thailand, and East Timor continues to be politically unstable. Terrorists in Indonesia have bombed several hotels and nightclubs frequented by foreigners in Bali and Jakarta, most recently the Marriott and Ritz Carlton in July 2009. Thailand's southernmost states, especially in the border region with Malaysia have also been the scene of violence in recent years, and while tourists have not been specifically targeted, there have been several attacks on trains and three foreigners were killed in bombings in Hat Yai in 2006. Violent crime is a rarity in Southeast Asia, but opportunistic theft is more common. Watch out for pickpockets in crowded areas and keep a close eye on your bags when traveling, particularly on overnight buses and trains. There are multiple Islamist and jihadist groups in southeast Asia, such as Jemaah Islamiyah in Thailand, Mujahedeen KOMPAK,Laskar Jihad in Indonesia and Abu Sayyaf in the Phillipines. This page was last edited on 2 November 2017, at 10:01.